The 43-year-old star, who plays role of a visually-challenged in the film, said his producer father, Rakesh Roshan, is “hurt” with the way things have turned out. 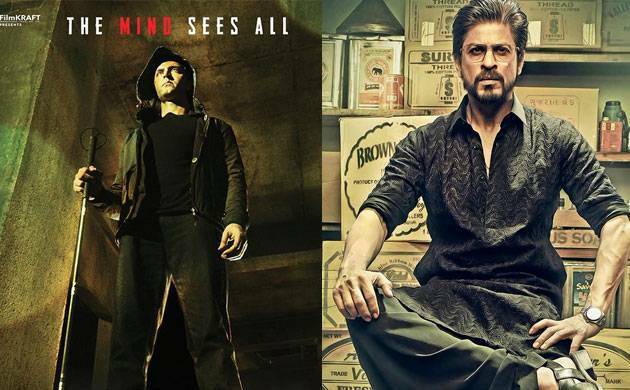 One of the first big box office clashes of 2017 will be witnessed on January 25, when “Kaabil” and “Raees” will hit the theaters on the same day, but Hrithik Roshan feels it could have been avoided if the producers of the Shah Rukh Khan-starter had planned things in a better manner. “My father plans his life very well. He was also very careful. ‘Kaabil’ was about to get over in October. But he did not want to release it in November or December last year as the dates were already taken by someone else and it would not have been fair. He decided to go to January as he didn’t want to put any other producer in distress. “My father is careful and concerned for others so he also expects other to be the same way. He is a little hurt and upset. But he is graceful about it. You can’t control the world you can only control your reaction and our reaction is very graceful so now let’s see,” Hrithik said in an interview. The actor, however, says he has no hard feelings for people attached with “Raees” as he knows that the team is not doing it intentionally. Hrithik believes “Raees” had already been pushed a lot so the makers wanted to release it as soon as possible. “I think ‘Raees’ also didn’t have any choice. The film is waiting for a release date for quite some time. It was supposed to release with ‘Sultan’ but it got pushed. They are also in a problem. I understand that. My sadness is only that if the party had planned it a little better than this clash would not have happened,” he said. Producers generally avoid releasing two star-driven films together as they eat into each other’s business. Hrithik’s last film “Mohenjo Daro” clashed with “Rustom” and things did not turn out well for the actor with the big budget period drama failing at the box office. While the Sanjay Gupta-directed film will have both Hrithik and Yami Gautam playing visually challenged characters, “Raees” directed Rahul Dholakia revolves around a Gujarati bootlegger (SRK). Pakistani actor Mahira Khan plays his love interest and Nawazuddin Siddiqui plays a cop in the Film.